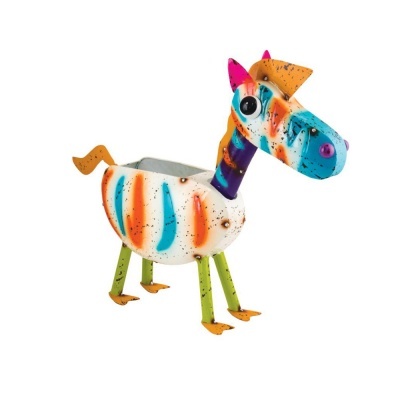 Fountasia Zoey The Zebra - Metal Garden Planter from the very colourful and decorative Zoo Planters range. Add exciting colour and fun to any location with this cute Zebra with wobbly head that nods in agreement whenever the wind blows! 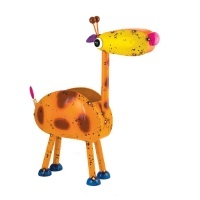 Very adorable, made from durable and sturdy gloss lacquered metal. 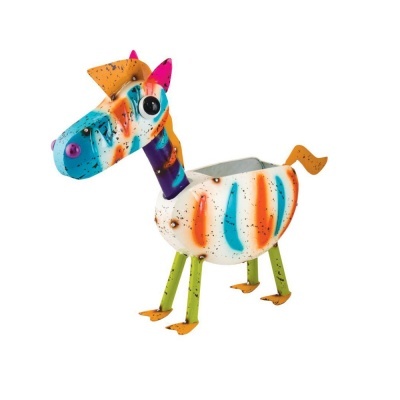 Brings the child out in all of us, and has a very practical use too, for planting up with soil and flowers, with a good internal planting depth. 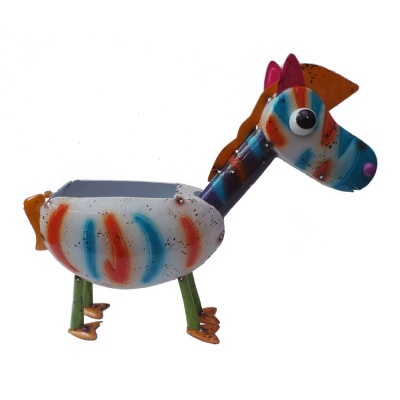 Easy to relocate and is a self standing garden feature for inside or out, well suited for a garden patio, balcony, doorstep or inside a conservatory.